So far, Legion Assaults have been less than popular. The North American Assaults have mostly happened while people are at work or asleep, making them difficult to complete — and even if you can get to one, they’re time-consuming and buggy. That made them a headache for anyone trying finish Broken Isles Pathfinder Part Two, which grants Legion flying. This makes flying a lot closer for the denizens of Azeroth. We’re counting the days until we hit revered with the Armies of Legionfall ourselves. But it’s not the only hotfix that hit the live realms. The much-maligned Assaults have also gotten a bunch of fixes, which should make them easier to complete for anyone doing them for reputation, Nethershards, or gear. And beyond that, there’s the standard grab bag of bug fixes. The “Defender of the Broken Isles” achievement is no longer required as part of the Legion Pathfinder, Part Two meta-achievement. Developers’ notes: The rotating Legion Assault schedule is designed to have them active at varying times of day over the course of a given week, to accommodate different work schedules and available free time. We’re hesitant to have an Assault last for too long, because they stomp on the entire World Quest content of a given zone for the duration, potentially leaving players with nothing to do there once the Assault is complete. But this design doesn’t mesh well with an important achievement that requires completion of all four zones – if anything, it causes stress over scheduling and potentially missing specific zones during the cycle. 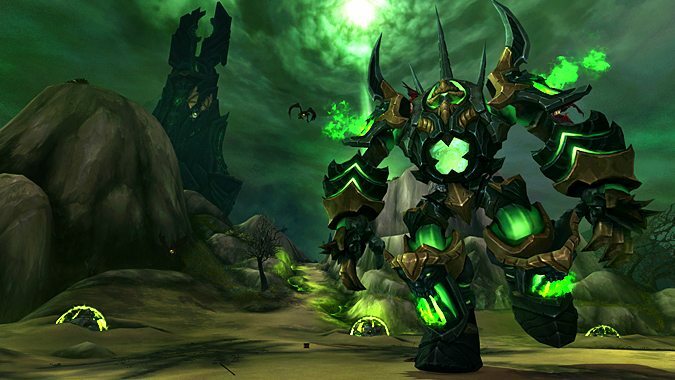 The Defender achievement was never intended to be a major obstacle on the path to flight in the Broken Isles; its inclusion was more for thematic purposes and completeness. As such, we’re removing it from the meta-achievement required to unlock flying. Vile Soulwardens in Val’sharah are no longer hesitant to engage in combat. Spires of Dread can no longer suffer damage from players’ AoE abilities, and they no longer turn to face nearby players. Jarod Shadowsong will now appear for players at the base of Black Rook Hold if they leave the terrace before completing “Battle for Val’sharah”. Drol’maz will now respawn even if his Dark Ritualists were not killed with him. The Sentinax should no longer advertise that it is finished recharging when it hasn’t.